Identity theft is a widespread crime that is continually evolving with the constant evolution of technology and trends. It can take months or years to recover once you become a victim of identity theft. The final week of National Cyber Security Awareness Month focuses on ways to protect yourself against identity theft and what to do if you become a victim. 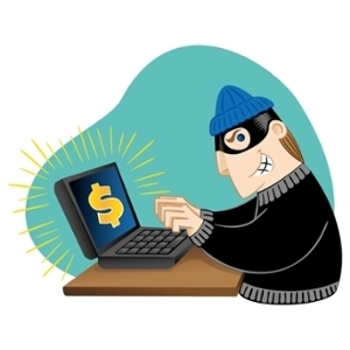 Cyber criminals have a variety of schemes to get a hold of your personal information and use it to steal your money, sell your identity, commit fraud or other crimes in your name. Dumpster diving: It’s exactly as it sounds. Thieves will go through your trash looking for bills, receipts and other documents containing your personal information. Phishing, Vishing and Smishing: Identity thieves will email (phishing), call (vishing) or text (smishing) you pretending to be someone else, likely a bank or other institution, and request that you provide more information. They’ve even been known to replicate a popular website hoping to trick you into filling out an online form. Hacking: Your computer, smartphone and mobile devices could all be at risk. Hackers can install malware, keystroke-logging software and other malicious technology that grabs your information without you ever noticing. Data breach: When an organization like a bank, university, or doctor’s office gets hacked, the damage is often widespread impacting hundreds or thousands of people. 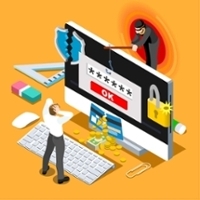 Hackers may use stolen information for identity fraud, or they may simply sell it on black market websites for other criminals to purchase and use. Many people affected by data breaches don’t even know they’re victims until several years after the event occurred. Shred: Buy a cross-cut shredder and make sure you shred any documents containing personal information before you toss them in the dumpster. UCSC also has a way to securely dispose of electronics. Lock: Be sure to password protect all of your devices, and use a different, unique, and complicated password for each of your online accounts. Secure: Never log in to financial accounts or shop online while using free public Wi-Fi, and make sure to encrypt and password protect your Wi-Fi at home. Monitor: Review your credit reports and bank accounts periodically looking for suspicious activity and errors that could signify identity theft. Add a credit freeze to your credit reports to prevent thieves from opening credit in your name. Detect: Consider purchasing an identity theft detection product that includes identity theft restoration. If you do become a victim of identity theft, you’ll be notified quickly and be able to lean on certified specialists to help restore your identity. First: The first thing you should do is file a police report and then contact any affected entity. For example, if an identity thief hacked into your bank account, contact your bank immediately. Government agencies should also be notified. If a thief has your Social Security number, you should notify the Social Security Administration and the Internal Revenue Service. Second: The second step is to protect your credit. Order and review your credit reports looking for information you do not recognize. If you see fraudulent activity, you should file a dispute with the credit bureaus. If you believe a thief is opening credit in your name you might want to consider a fraud alert or credit freeze. Third: It’s important to continue to periodically review your credit reports and other accounts containing personal information. Once identity thieves have your personal information, they have it forever. They can continue to commit fraud in your name and come up with new ways to use your personal information. You could see the impact even years after the initial theft occurred. Because of the persistent monitoring required to stay protected, subscribing for an identity theft monitoring service may be a safer and easier option.